Think for a second. How many times have you checked your phone or went off-task today at work? Chances are you have done it several times. According to a 2014 Salary.com survey, 89 percent of people report wasting time at work. This number increased by 20 percent from the previous year. Often, time at work is often called “down time.” This is time spent on non-related work tasks. Downtime includes searching websites, texting on your cell phone and taking food breaks. 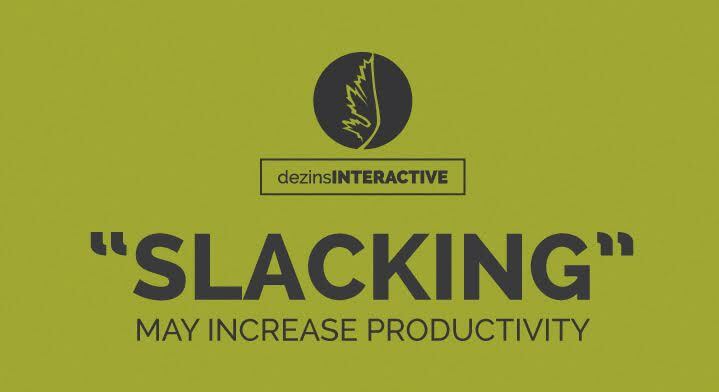 Most employers expect their workers to be productive most of the time. However, downtime may actually be a positive thing. Salary.com also did a survey that revealed that respondents waste time because they believe short breaks can actually increase their productivity. This idea relates back to the “Pomodoro Technique,” which expresses that short breaks can increase improve mental agility. Using this technique, employees break tasks into 25-minute intervals with 5-minute breaks in between. Not only is this effective for larger projects and tasks, but it also gives rewarding periods of downtime. When considering a formal or informal stance on non-work related activities, flexibility and setting performance expectations are vital. Authorities must establish clear goals regarding deliverables and deadlines and be less firm about enforcing a specific work structure. Employers should be less concerned about who’s sitting in his or her seat looking or behaving a certain way. As long as the employee consistently performs well and meets deadlines. The occasional break might be needed stress relief to guarantee high performance from employees.